Fulbright New Zealand celebrates National Poetry Day in New Zealand by sharing poems from some of the talented poets among our alumni: Bill Manhire, Hinemoana Baker, Ian Wedde, Glenn Colquhoun and Clare Jones. These Fulbrighter poets are sharing their work today in honour of National Poetry Day. 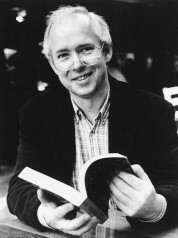 Robert Haas (Fulbright Scholar to the United Kingdom, 1976). 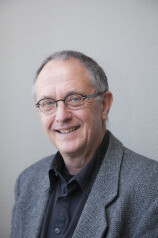 New Zealand’s inaugural poet laureate Bill Manhire had a 1999 Fulbright New Zealand Award to be Fulbright Visiting Professor in New Zealand Studies at Georgetown University’s Center for Australian and New Zealand Studies in Washington, DC. Hinemoana Baker is a poet, writer, musician and producer based in Wellington. 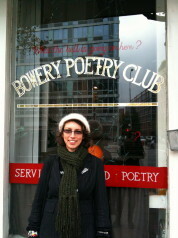 She received a 2010 Fulbright New Zealand Travel Award to present her work at the Jazz Poetry Concert in Pittsburgh and Shambaugh House at University of Iowa, and participate in other U.S. readings and performances. The needle is a good size. which accounts for its colour. my breast – all breasts. 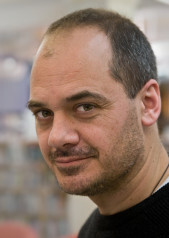 Ian Wedde is the author of fourteen collections of poetry. In 2010 he was awarded an ONZM in the Queen’s Birthday Honours, and was the New Zealand Poet Laureate in 2010. He received a 2006 Fulbright New Zealand Travel Award to attend a conference in Boston, Massachusets. to leave the word ineradicable behind? Glenn Colquhoun, a poet and physician based in Levin, received a Fulbright New Zealand Scholar Award in 2010 to research medical storytelling programmes at Columbia, Harvard and Pennsylvania State Universities. You have brought me a bird. Should I stand on the table? Should I stand on the chair? It is there, in the corner of your eye. It is there, on your shoulder. Here, in the pit of your stomach. Here, it is in your hand. I should dance my old man’s dance. Clare Jones has received a 2016 Fulbright US Graduate Student Award. She earned an M.F.A. in Poetry from the University of Iowa Writers’ Workshop and a Graduate Certificate in Book Arts from the University of Iowa Center for the Book in May 2014. Clare will be coming to New Zealand to investigate the potential of new creative writing publishing initiatives to bring Pacific area cultures and climate change activism to the attention of the global community and encourage collaboration between specialists within environmental conservation groups and the arts in New Zealand and Polynesia. She will also research and write a book of poetry, Neotype, that weaves together themes of botany, ornithology, and geology of that area.